A fixed rate mortgage is one of the more popular mortgages, as it carries the same interest rate for the entire repayment term, be it 15 or 30 years. Your monthly payments will stay the same no matter what. This type of mortgage is arguably the most well-known mortgage, as it is good for those who want predictability. In addition, borrowers can typically make extra payments on this mortgage without incurring prepayment penalties. Variable rate mortgages, or adjustable rate, will change after remaining fixed for an initial period. This mortgage typically has lower monthly rates, but there is the uncertainty if that rate will rise. Variable rate mortgages are generally not recommended if you plan to stay in your home for a long time. In addition, you may want to find another option if you plan on taking a variable rate mortgage at first then refinancing to a fixed rate. This strategy has no guarantee that you’ll be able to refinance—especially if your home value drops or your credit score lowers—which means you may find yourself paying more than you can afford. 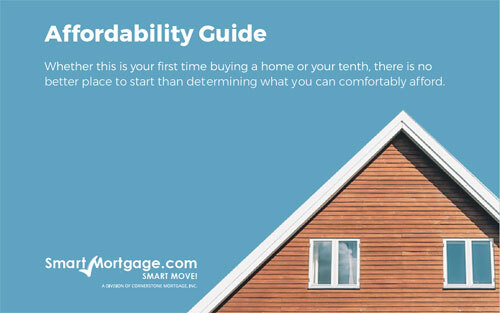 However, variable rate mortgages are a good choice if you only plan on living in the home for a few years. This can save you money, but it’s important to talk to your lender first. Government loan programs are insured by the U.S. government and include VA, USDA, and FHA loans. These typically have low down payments and competitive mortgage rates and are more likely to approve you if you have imperfect credit. But don’t let that fool you—these programs can be difficult to qualify for and require extensive paperwork. VA mortgages are loans offered to only military service members and their families and must obtain a certificate of eligibility. This type of mortgage is guaranteed by the VA and can be obtained without having to pay a down payment. Single Family Direct: Designed to help low income rural families buy, repair, or renovate their home, with loans up to 38 years. Families must make less than 80% of their area’s median income. Single Family Guaranteed: This loan helps rural families with a modest income buy a home. To qualify, they must make no more than 115% of the median income for their area, be able to pay their monthly payments, taxes, and property insurance, as well as have a good credit history. Rural Repair and Rehabilitation: Granted to low-income families to repair or improve their home to make it healthier and safer. Families must make 50% below their area’s median income to qualify. Mutual Self-Help: Designed to help families with incomes below 80% of the area’s median income build their own homes. 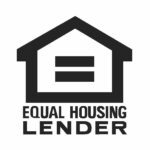 FHA mortgages are designed for low to moderate income borrowers who are unable to make a large down payment on a home and have credit score as low as 500. In some cases, families are able to borrow up to 90% of the home’s value, and their down payment can be a granted or gifted. If you are a first-time homebuyer, FHA loans may be for you. A conventional mortgage is insured by a lending party and not the federal government. This means higher mortgage rates and down payments since the lender is at risk of losing money if you default on your loan. If you will be unable to make your payments or put the necessary money down, it may be best to seek another type of mortgage. These loans are generally harder to qualify for, as you need a good credit score, debt-to-income ratio, loan-to-value ratio, and cannot have filed for bankruptcy in the past two years. Jumbo mortgages are not guaranteed by government back enterprises and an option if your loan limit is over $417,000, or the conforming loan limit. A jumbo loan is a choice if you plan to buy an expensive single family home without having to use your savings. However, you must prove that you have the necessary income and assets to pay for it, as well as being able to pay a 20% down payment and have a credit score of at least 700. In some cases, you can mix and match your mortgages. For example, you can have a VA loan that is fixed rate conventional. Just remember to work closely with your lender—they will be able to help you find the right mortgage for your needs and personal situation, as well as help you get pre-approved. Let Us Help You Find The Right Mortgage!